ATF Aerospace services the commercial aerospace and defense industries both as a distributor and a manufacturer of precision machined components. ATF Aerospace is part of a privately held small business with the financial support of a much larger company. 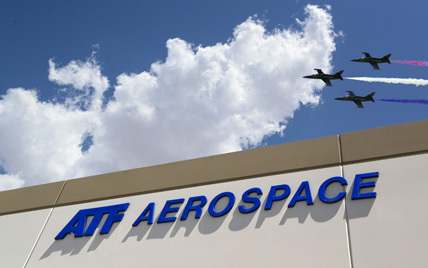 ATF Aerospace has a platform to which future capabilities will be added. We are willing to invest with key customers to reduce their procurement costs. Product line investment, along with targeted acquisitions aimed at increasing our value as a “solutions provider” will continue to drive our growth. We’re a family business built on entrepreneurial passion and team spirit. Our core values are represented by the ATF Way. It’s engrained in our culture and serves as a daily reminder of how to treat our customers and each other. Roll up your sleeves and lend a hand. Don’t hide behind a job title. Put others’ interests ahead of yours. Show respect by promptly responding to team members and customers requests. Practice honesty, fairness, and professional courtesy to everyone. Make more of an effort than is expected of you.